If you’re not working out the way you would like, it’s a weight on your mind. Maybe it’s hard to find the time to work out. Perhaps it seems boring, or painful. Or maybe you don’t know what you should be doing to improve your strength, health or fitness level. We can help with that! 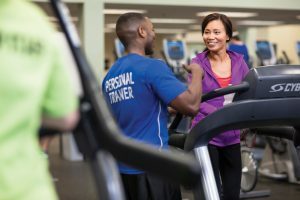 Personal training, either individually or with a partner, can help you make the most of your time at the Y. Our wellness coaches are certified personal trainers who are up-to-date on the most effective and efficient exercise strategies; and they’ll keep you accountable in the times when life gets in the way of exercise. 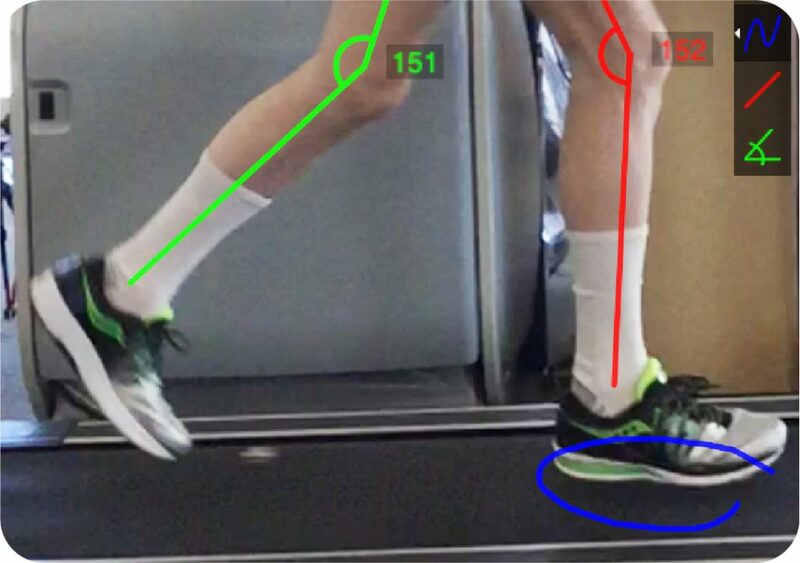 Our Gait Analysis program will analyze your running style using the latest technology. Participants are given coaching, tips, exercises, and follow up appointments to ensure they are getting the most out of their analysis. Great for anyone training for races or for those interested in staying healthy, improving endurance, and lowering their average mile times! Purchase a training package from our Member Relations staff. We will contact you within one week to schedule your free consultation. This is a time to talk with your trainer, review your paperwork and set goals. Your first training session will be scheduled directly with your trainer at your consultation. Alyson Mann Certifications: ACE CPT, Spartan SGX Coach, ACE Orthopedic Exercise Specialty CPT, BOSO Trainer Cert., Practical Yoga for PT Cert. "Movement, whether gentle or intense, is one of the best medicines for the mind, body, and spirit. As a personal trainer I get to help people of all ages discover or improve their physical capabilities. This can mean a range of things, from helping someone achieve their new personal best in a racing event, to teaching someone how certain exercises can help them live without pain. I am passionate about helping people live healthier lives in whatever way that means to them, and I love being able to do this as part of the Y community." Specialty Areas - Senior Fitness Specialist, Post-physical therapy strength training, PNF Stretching, Balance training, Functional movement training. I truly believe that fitness and a healthy lifestyle can and should be fun. My clients have told me they feel both their physical fitness levels and attitudes towards life in general improving as they grow in their self-confidence and positive body image. Certifications: NASM CPT (Certified Personal Trainer), Functional Movement Screen (FMS) Specialist, AFAA Primary Group Exercise Instructor Certification, Mad Dog Spinning Certification, NASM CES (Corrective Exercise Specialist), CPR/AED. Specialty Areas: Special Needs, Senior Adults, Injury Prevention, and Post Rehab. join the McGaw Y family and contribute to the organization that was an important part of his life growing up. At the Y, you can opt for one-on-one training, or you can train with a friend or two. Either way we make it easy to experience the advantages of training with your own coach. Click here to purchase your personal training session online! **You must create an account with us before you can register for a program. Follow the Step-by-Step Online Join Guide on our Join page to create a new account. Once you have purchased your personal training session, you can book your appointment with your trainer online! Just click the link below and choose the trainer, day and time you want, and your trainer will respond to your appointment request. Book your Personal Training session here. Appointments cannot be made within 24 hours of the requested day and time. Pilates is an innovative system of mind-body exercise evolved from the principles of Joseph Pilates. Pilates dramatically transforms the way your body looks, feels and performs. It builds strength without excess bulk, increase body awareness, and improves flexibility and posture. 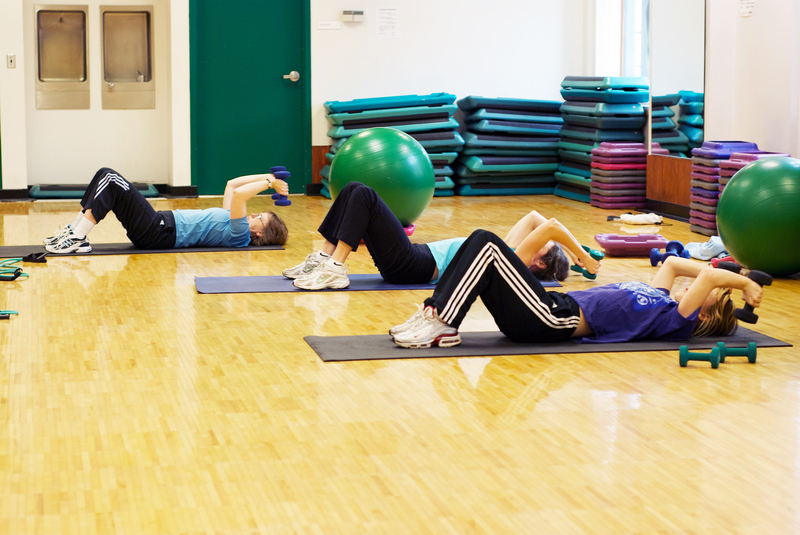 We offer Pilates Personal Training in our Pilates studio. Our certified Pilates instructor, Gail Tangeros, will contact you to schedule your first appointment. Please bring a copy of your receipt and your completed forms to your first session. Click here to purchase your Pilates personal training session online! Once you have purchased your Pilates personal training session, you can book your appointment with your trainer online! Just click on the link below and choose the trainer, day and time you want, and your trainer will respond to your appointment request. Book your Pilates Personal Training session here.